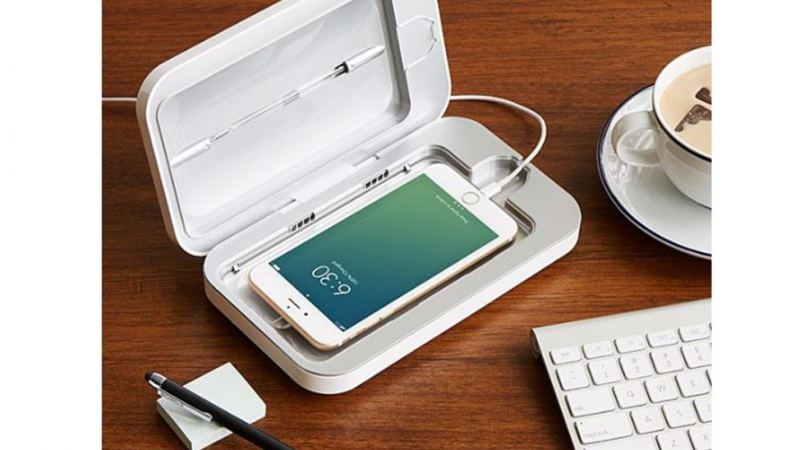 This is the innovative PhoneSoap sanitizer for your phone. Smart phones are very useful and you probably use yours all of the time. This can cause an issue because you use it even when you are sick. When you speak on the phone you hold it close to your mouth and face so germs from when you are ill can easily be on it. You can be reinfected by continuing to use your phone as you recover. Solve this issue by using the PhoneSoap smartphone sanitizer. It is very easy to use because of the innovative design features. You can ensure that your phone is germ free by placing your phone inside the device, attaching the charger and closing the lid. It's as simple as that. Inside the device a pair of specialized ultra violet lights will clean your phone and destroy all germs. There are also lights on the outside of the sanitizer to let you know when your phone is fully charged. 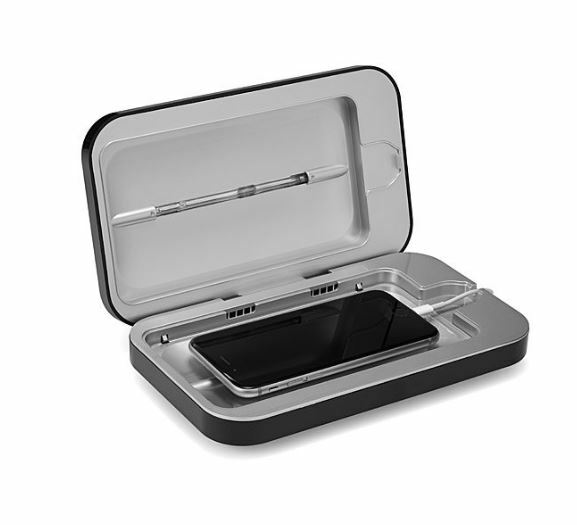 The case also features acoustic amplifiers so that you can listen to music while your phone is being charged and cleaned. It is large enough to accommodate most smartphones. 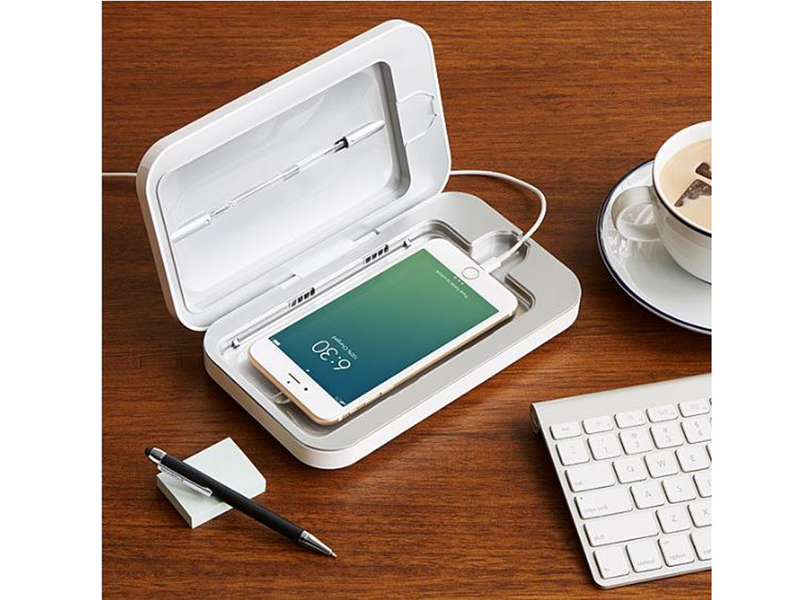 A cool gift idea for anyone who loves gadgets. This is also a great idea for anyone you know who works with young children or is a health professional. Certain occupations carry a greater risk of picking up germs. So keeping items you use often as clean as possible is a great idea.